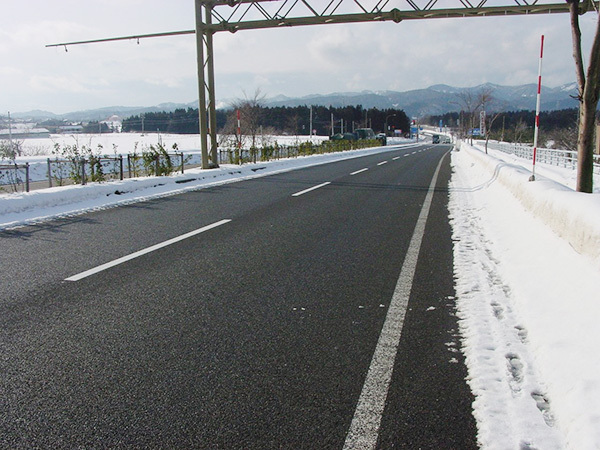 TOUGHPHALT SUPER V is polymer modified asphalt type H-F that is used for porous asphalt paving (high function paving) in cold and snowy areas. Due to its outstanding low temperature properties and conditions, a high resistance is realized regarding damage characteristic to cold regions including the scattering of aggregate due to the impact of tire chains. 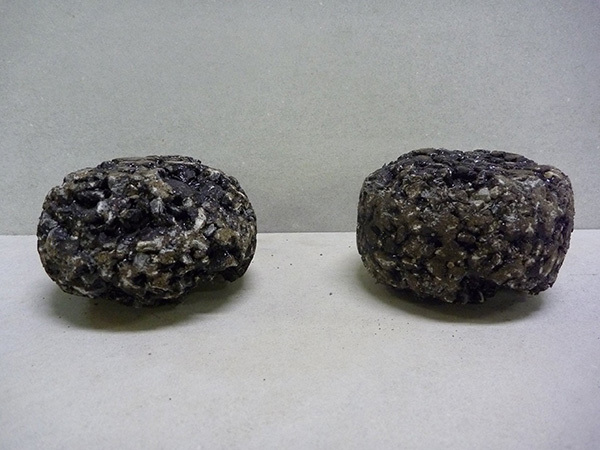 TOUGHPHALT SUPER V has the following characteristics when compared with polymer modified asphalt type H.
The mixture low temperature Cantabro loss rate is small at around half the rate of type H, and it has an outstanding aggregate scattering resistance. The flexibility to conform to deformation is high, so that it will have an outstanding resistance to cracking.